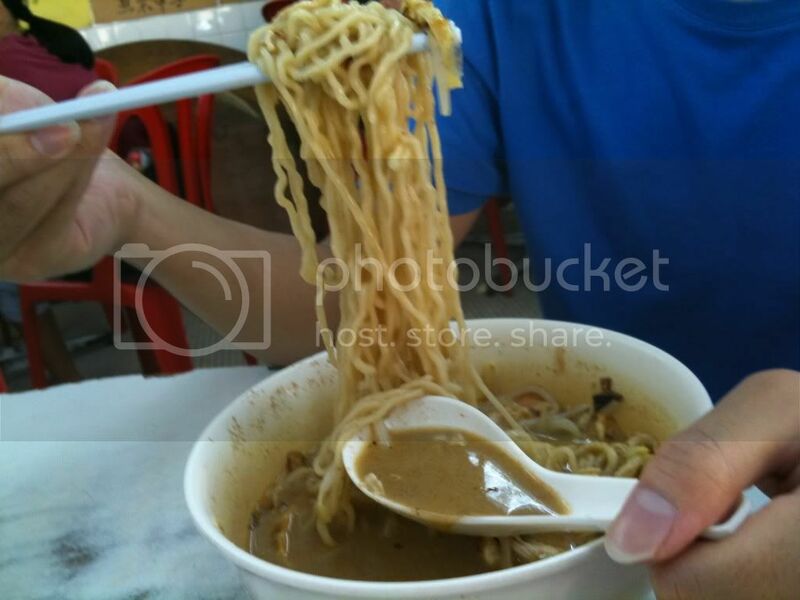 Today i'm gonna introduce my friendly neighbourhood's Sarawak noodle to all of my fellow msians! 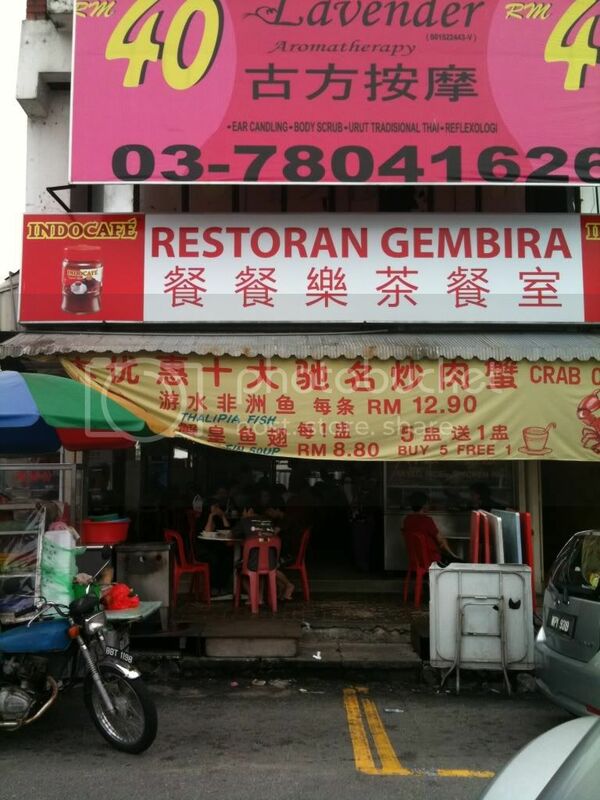 Being famous among the locals in Taman Megah, this shop has been doing extremely well for the past 5 years. The operator of this stall originates from Kuching, and thereby bringing over Sarawak's renowned delicacy all the way from the east. 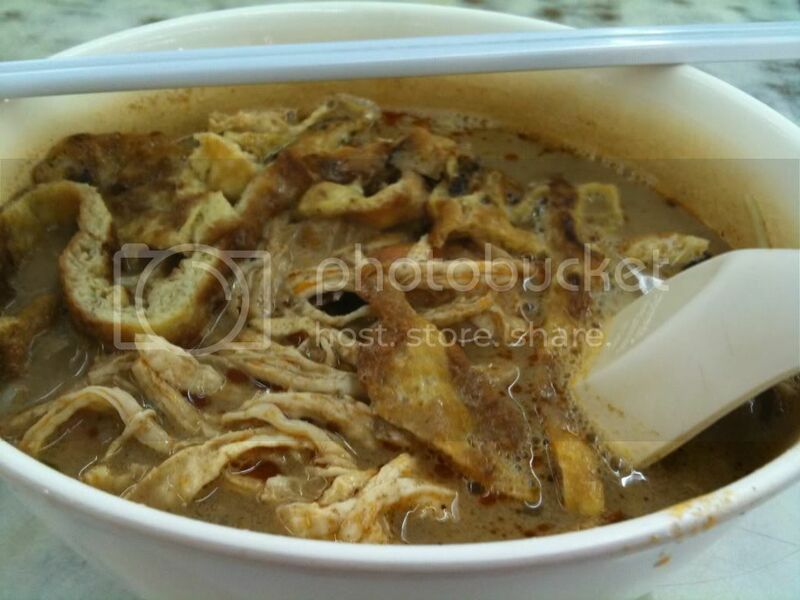 This is the Kuching Sarawak Laksa. 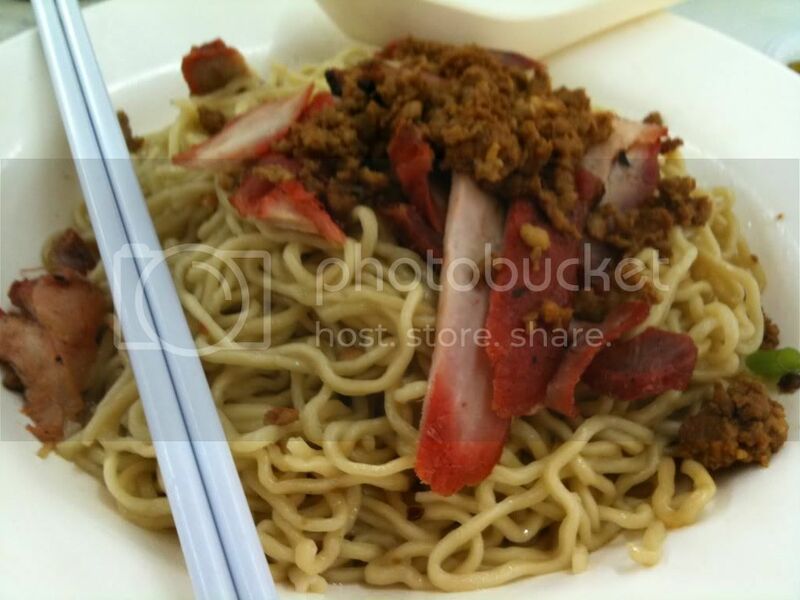 It has eggs, chicken floss, prawns, and their hand-made Sarawak noodle. U can either choose to put their hand-made noodle (highly recommended) or bihun. It is advisable to eat with their home-cooked sambal + with some lime. Yummy! I guess what customers love about their "product" is actually the noodle. 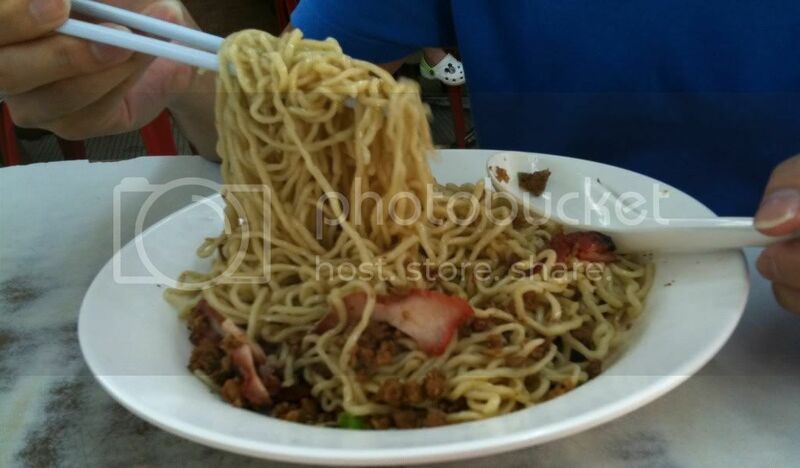 The springiness of the noodle gives the impression of Maggi~ness, and the smoothness and chewiness of the noodle's texture is just too iresistable. 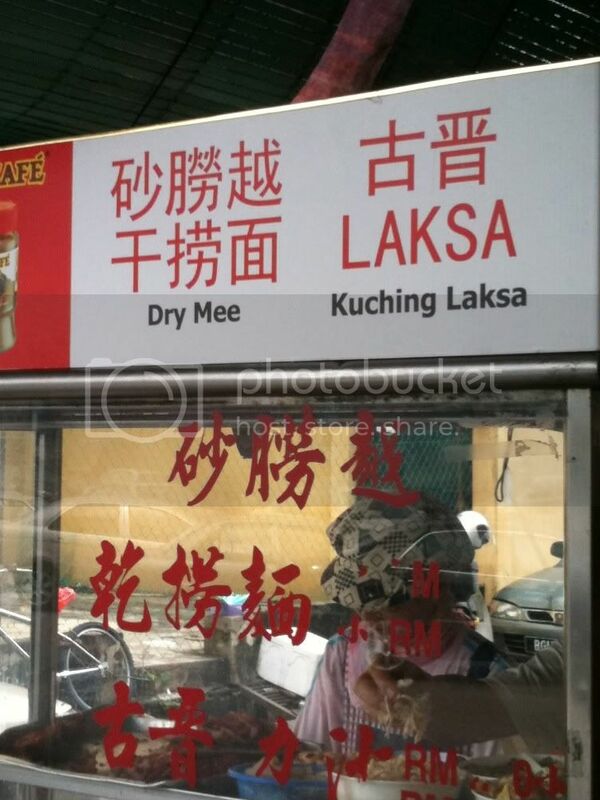 Their other preferable dish is the DRY, KON LOH MEE. 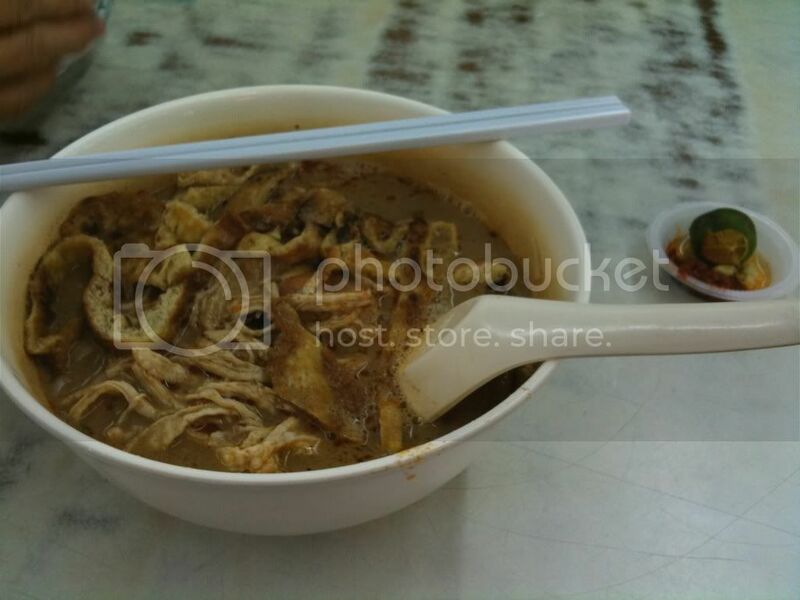 As usual, i always order both sarawak laksa and the dry mee. It taste best with the sour-vinegar chilli. 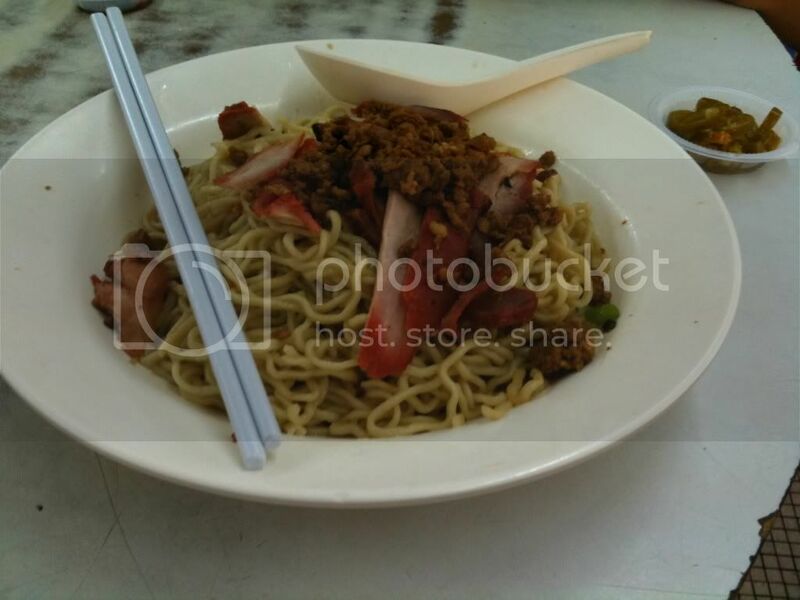 It has char-siew, minced-pork, some spring onions, and also the famous yummy~licious springy noodle.